I'm going to try to keep this crazy update as brief as I can. My husband and I have been trying to get our old house ready to sell. We still had a lot of our stuff in it, and the attached garage had gotten to the point where it really just needed to be removed from the house. We decided my husband would take off spring break (this past week) with the kids and schedule all of the work to be done that week. That gave me a deadline to go through everything we owned to either donate, bag up to put in the demolition dumpster, or crate up/set aside to keep. All of my extra time and energy after work has gone to meeting that deadline. Fast forward to this past week, the demolition of the garage went extremely well. My husband spent the rest of the week having the electricity and water lines capped off that were running to the garage and getting things cleaned up. By yesterday he had found a realtor that we really liked and was able to do a walk through with her yesterday afternoon. All we had left to do was get our stuff out and put it on the market. We were just settling in last night when the fire department called to tell us our old house was on fire. Life is so weird. It was an electrical fire in the back wall of the house. The fire department says it wasn't related to the demolition. They found some wires in the wall that were bare and touching. The scary thing is they must have always been that way. I'm assuming they had to have moved because of the demolition or the breakers being turned off and on had something to do with it. Or life is just so, so weird. More than anything I'm thankful no one was hurt. My plan was to return to blogging after this week, but I don't know, guys. I might not get my mind back for a while. I'm going to see how this week goes, and I'll post another update next weekend. I haven't done much reading in the past couple of weeks. Thankfully Bonnie invited me to read The Fellowship of the Ring with her. It was the perfect book choice for me since I've read it a few times already. 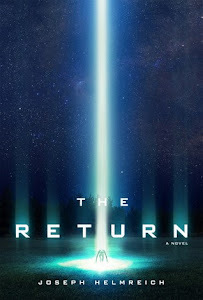 The Return by Joseph Helmreich - Joseph Helmreich sent me an ARC of The Return. This is on my list of must reads for this year. It's half alien abduction scifi, half man on the run globe hopping thriller. I'm really hoping I can manage to read it this week. 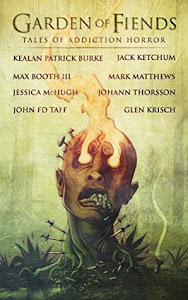 Garden of Fiends: Tales of Addiction Horror edited by Mark Matthews - Garden of Fiends is another priority read for me. Look at this list of authors: Kealan Patrick Burke, John FD Taff, Jessica McHugh, Jack Ketchum, Max Booth III, Glen R. Krisch, Johann Thorsson, and Mark Matthews. 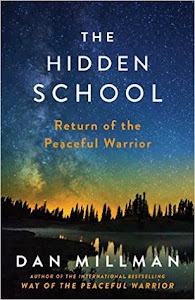 The Hidden School by Dan Millman - The Hidden School showed up on my porch the other day. 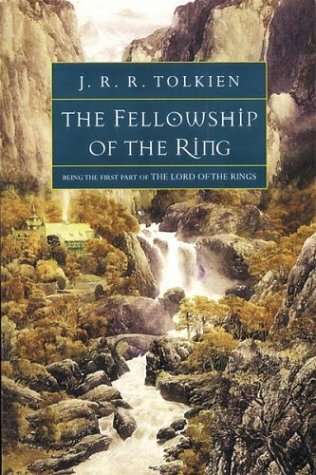 It's the third book in a trilogy that I've never heard of. 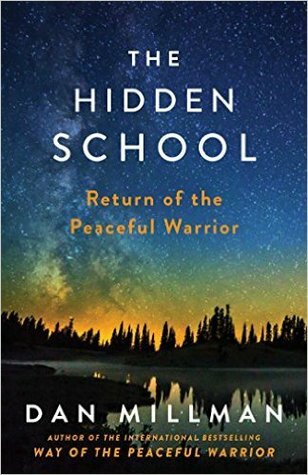 Have you read the first book Way of the Peaceful Warrior? It's supposed to be a life changing bestseller. It's fiction but also autobiographical and a self-help book... I'm all kinds of confused. It has great reviews, though, so let me know if you have any experience with this series. So that's where I'm at and where I've been. Regardless of how my blogging goes, I do plan to catch up with everything that has been going on with you guys. I apologize for not being around and for the comment bombs that are likely about to take place. Let me know what you're reading this week or leave me some links!